Additional North American Tour Dates Added! ON TOUR NOW IN THE US & CANADA! M83 is excited to announce eight new fall tour dates in the US & Canada! The new dates, on fan pre-sale May 4th through ilovem83.com, include six cities the band has not yet played while touring in support of the critically adored and dynamic double record Hurry Up, We’re Dreaming, featuring the hit single “Midnight City”. Widely celebrated for brilliantly bringing the sax solo back, M83’s “Midnight City” sits at #5 on the US Commercial Alternative Radio charts, with the video approaching 10 million views on YouTube. M83’s place among the biggest and brightest stars in music was confirmed after recent high profile and raved about Coachella performances. A gushing Rolling Stone live review called the opening night show of the spring North American Tour “goosebump-triggering”. Anthony Gonzalez and band are currently on tour and are set to continue the celebration on America’s largest stages with the announcement of M83 performing at Lollapalooza, August 3rd in Chicago. For a full list of upcoming shows, including the newly announced Hammerstein Ballroom show in NYC on October 2nd, visit ilovem83.com. The Reunion EP is set for release on May 29th. 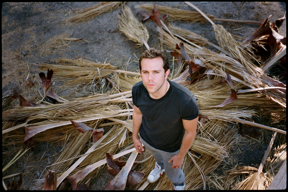 Reunion is the second single off of the massive sixth M83 album Hurry Up We’re Dreaming, which continues to display M83’s aptitude at writing catchy cosmic-pop soundtracks filled with fantasy and imagination. The single will be released with a stunning and diverse remix package of six exclusive re-works of the track, including remixes by Dale Earnhardt Jr. Jr., Mylo, Sei A, The Naked And Famous, Polly Scattergood, and White Sea. Produced by Justin Meldal-Johnsen (Beck, NIN, The Mars Volta, Goldfrapp), mixed by Tony Hoffer (Air, The Kooks), and including contributions from Brad Laner (from 90’s band Medicine), Saturdays=Youth vocalist Morgan Kibby, and guest vocalist Zola Jesus, Hurry Up, We’re Dreaming is a double-album journey that takes us to the horizon and introduces us to new landscapes. About awakening, craving, and conquering, Hurry Up, We’re Dreaming pushes into new vocal territory for M83. Here we see Gonzalez test out different ways of singing, ranging from a spectral breathy whisper to a howling scream. “I think it is a reflection of my 30 years of being a human being. It’s a compilation of all my previous music together. It’s a retrospective of myself”, says Gonzalez.